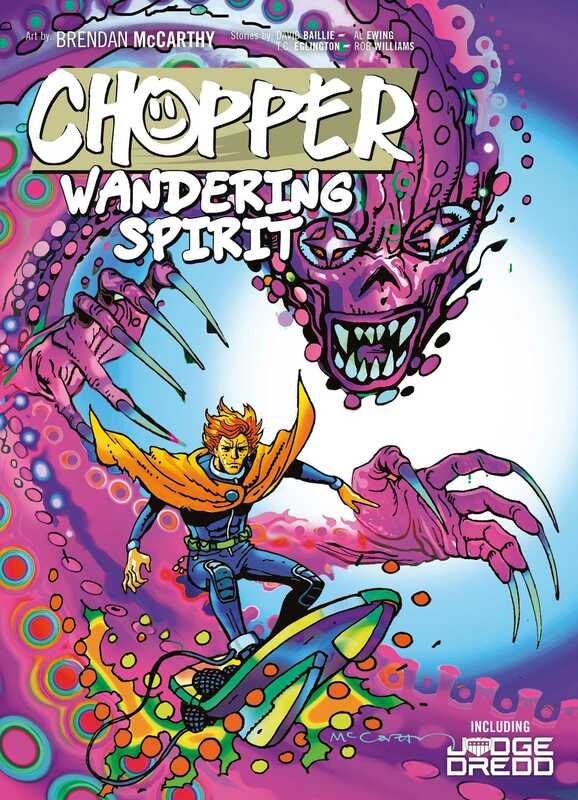 The return of fan-favourite skysurfing delinquent in an original story by comic superstars! The Oz Radback, 2140 AD. Legendary Mega-city skysurfer Marlon Shakespeare has retired to Oz, where he has been living a trouble-free life. But when he goes in pursuit of the mutants that kidnapped his friend Wally during a radstorm, the ageing skysurfer gets far more trouble than he bargained for! This book collects the latest adventure of Mega-City One’s greatest skysurfer as well as several Judge Dredd stories also featuring the vibrant psychedelic art of Brendan McCarthy.